HVAC sales professionals face unique challenges in today’s selling environment. Most customers are now accustomed to the typical sales pitch, so they won’t be impressed if your sales team is relying on the old standbys, like one-sided propositions. They can compare dozens, even hundreds of options online before they even reach out to an HVAC company. That means the star HVAC salesperson needs to have specific traits, like a positive attitude and the ability to pick up on verbal cues. But most importantly, your sales strategy should be driven by established goals. If your sales goals aren’t realistic, they’ll be impossible to reach. You want to increase revenue and grow your business, but unattainable sales goals can impact your team’s morale and lead to poorer sales rates down the road. To set realistic goals, you’ll have to do some math. First, examine what happened in the previous year. Did you build your revenue, or did it remain stagnant? Are your goals for this year attainable, or are you aiming too high? Determine some realistic revenue goals for your company, then delegate goals to your salespeople. Focus on growing your revenue incrementally, person by person. You may find that your salespeople surpass their goals, which will give you the revenue boost you’re looking for. When selling, most of your prospects will be more interested in how a solution can help them than with the products and services themselves. Train your sales team to actively listen to their prospects’ stories, so they can point out how your company can be a part of it. 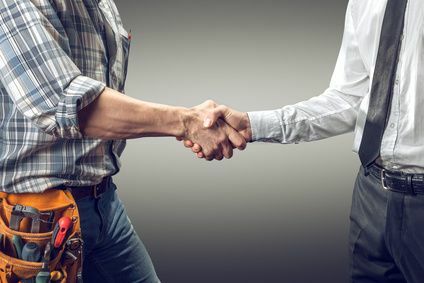 When you’re trying to hit sales goals, it can be tempting to dive straight into your products and services, but two-way conversations are much more effective at closing deals. Also, focus on your HVAC customer retention strategy. Customers who already believe in your products and services will be more likely to sign on for new solutions. It could be that you can reach your sales goals by upselling. 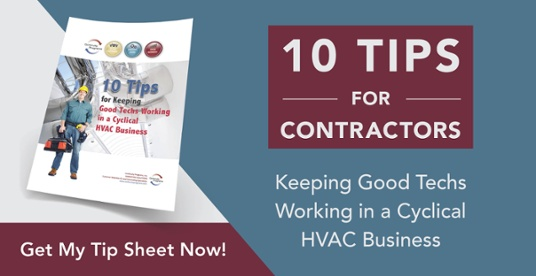 Most HVAC customers have plenty of contractors to choose from. And in most cases, they all offer the same thing: HVAC services at a reasonable price. When talking to your salespeople about goals, identify what makes your HVAC company unique. It could be your people, your attention to detail, or your willingness to keep working until the customer is satisfied. It could also relate to your reputation and your standing in the community, or the number of years you’ve been in service. Train your sales team to tell your story as a means of reaching your goals. The goals of HVAC contractor marketing are to identify your best customers, retain them, and find more just like them. But if your team spends too much time on marketing, then they’ll have less time for focusing on building relationships with customers and prospects. Thankfully, marketing can be easy with the right program. Look for tools that can provide you with automated customer follow-up campaigns, email marketing, and mailers that can be sent automatically. Automated marketing can help you with cross-selling and referrals as well, which can help you hit goals much more easily than cold selling. HVAC selling requires constant practice and active learning, as the market is ever-changing. Stay updated on the latest thought leadership and pass that important information on to your sales team. If you’re still relying on old techniques and you aren’t reaching your goals, it might be time for a new approach. To keep your sales team focused on their goals, make training and re-training a priority. This doesn’t mean you have to send your team off to an expensive seminar. There are plenty of free online training resources available. You can even subscribe to HVAC sales and marketing blogs to get the latest tips in your inbox. To recap: set realistic goals, focus on solutions, find a unique selling position, streamline your marketing, and make active learning a priority. If you follow these types, you’ll have a better prepared, more goal-oriented HVAC sales team.